win 10 pairs of beautifully soft bamboo socks. Imagine if your Christmas gift could save a critically endangered species? 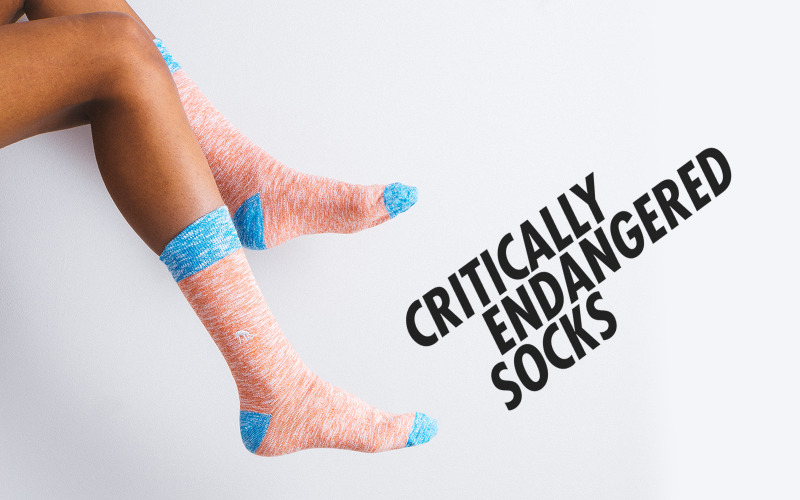 Innovative sock brand Critically Endangered Socks support some of the world’s most critically endangered animals. They are giving three lucky readers the chance to win 10 pairs of beautifully soft bamboo socks. The socks support a range of species including the Borneo orangutan by protecting 80 square metres of rainforest with every sock sold and the amur leopard, sadly the most critically endangered big cat with only 70 left in the wild. The socks come in a recycled box with a handy fact sheet included which tells you a little more about the animal and the charity you are helping to support. For the first time in history, your sock drawer has the potential to protect critically endangered animals the world over. The prize: 10 pairs of beautifully soft bamboo socks.